Creating a happy blended family is tough. Current statistics estimate that 65% of all remarriages form blended families, and 70% of those end in dissolution. I’ve heard people refer to a blended family as “taking on someone else’s problems.” I even know families who don’t blend but keep their lives separate: one family of the mother with her children or the father with his children and another family as husband and wife. Making it work as a stepfather is a wish I have for all men in a blended family. Children can never have too many people who love them, and the stepfather who opens his heart to the importance of his role in their lives is truly blessed. When I turned 50, I experienced two miracles. The first was my marriage. 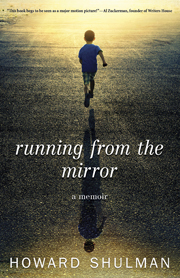 As you’ll read in my memoir, ﻿Running from the Mirror﻿, I was abandoned by my birth parents as an infant after contracting a virus that destroyed my face. Innumerable surgeries gave me a tolerable appearance, but I didn’t feel good enough to attract the right woman to share my life with. It never occurred to me that she would be beautiful and caring and love me for who I am. The second miracle was that my wife came with the family I had longed for. I knew that if I’d ever have the chance to be a parent, I would give my children all the love I could and never abandon them. What I have learned by helping raise my wife’s twin daughters is that parenting is not a one-way street. I am in a relationship with them that provides more love than I could ever have imagined. My stepdaughters already have a father. My experiences of abandonment and rejection throughout my life could have made me vulnerable to jealousy and possessiveness. It's natural to want to pull back to avoid those negative emotions. The problem is that many stepfathers pull back too far. Or like Will Ferrell’s character in Daddy’s Home, stepdads go to crazy extremes to win over their stepchildren. Many men don’t understand a child’s capacity for love. That your stepchildren have a “real” father doesn’t remove their need to look to you for guidance and caring. If you accept your role, you may, as I have, hear your stepchildren say something like, “Howard, you are the best stepdad in the world.” I don’t need to be called “Dad.” My stepchildren have had the clarity to give me a place in their lives that I can fulfill without holding anything back. It is healing for me to watch my wife shower her daughters with love. We all have inner wounds from our childhood. Mine happen to be extreme, having spent the first three years of my life confined to a cage-like crib in a sterile hospital environment. I love to see the girls cuddle up with my wife in their soft cotton pajamas covered with teddy bears and pink balloons. Their love is like nourishment. I don’t have to hold on to my painful memories of surgeries, IV needles, and loneliness. Yes, it can be difficult to live the day-to-day challenges of a blended family, but I encourage stepfathers to focus on the positive experiences. I take such pleasure in making breakfast for my stepdaughters. Their favorite: fresh blueberry pancakes. I watch with delight as they devour each bite, their laughter and smiles filling our kitchen with love. This helps replace my childhood pain with joy. But I appreciate their perspective as well. We are a different kind of family but we are as real as any. We respect and learn from each other. Here is my advice for this Father’s Day: Stepdads, treasure your children, even if they are not your own by birth. My foster parents gave me what I needed to survive and to have hope that I, too, could someday receive the love I had to give. Children are precious. I try not to take anything for granted because I know what it is like not to have them. It doesn’t have to be complicated. Men and women differ in child rearing, so work it out with your wife and stay in the game. To connect with your stepchildren, remember that it's all about the simple things. We go to the humane society to play with the abandoned kittens. We watch endless movies, sharing buttery popcorn. And we always say we love each other because that is the most precious thing of all. At least for me, where I came from is less important than where I am now. Years have passed, but I will never forget the painful ostracism and loneliness that dogged me throughout my childhood. Because of my facial deformities, my ‘otherness’, and the accompanying stares, contempt, and even the horror I engendered, I understand firsthand the challenges faced by those whom society deems unacceptably flawed. As my empathy grew, I found I wanted to ease the pain of others who yearned for acceptance. I volunteered, first with blind students I took on field trips in my work with Lighthouse International in New York, and then at the University of New Mexico Children’s Hospital, I read to children with brain injuries and cancer. For an immigrant family, who were like family to me, I provided a stable home because I could, and later, I spent time with injured veterans who struggled with a new reality. It was the least I could do to make someone’s life brighter, my attempt to pass on what others had done for me. 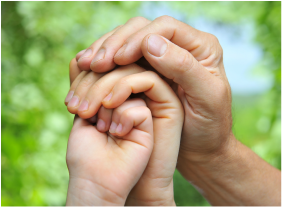 In the process, I discovered that helping others was the path to healing myself. With the help of many hard-won lessons, I eventually made peace with my circumstances and was able to create a life that was not defined by my physical uniqueness. Partially because of my tenacious nature, but also because I’d had the good fortune to meet many who had risen above adversity, I knew I could find a way as well. The self-empowerment and the seed of hope germinated when we meet someone like ourselves, especially a person who is proof that a full and rewarding life can be lived, is immense. When I stumbled on Lucy Grealy’s Autobiography of a Face, I realized at last I had found someone who understood what I experienced. Unequivocally, I know how a life can change when we discover we are not alone. My coming to terms with my past and finding self-acceptance is something I know anyone can relate to. After all, triumphing over adversity and arriving at self-acceptance is what we all hope for.